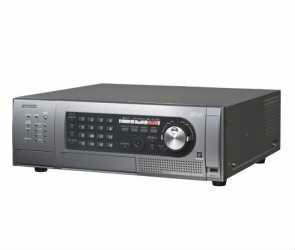 H.264 (High profile) codec with "UniPhier®" Panasonic proprietary System LSI platform provides high quality and high compression encoding simultaneously. SD5Link (Super Dynamic 5 Link) capability with i-VMD (intelligent-Video Motion Detection) alarm provides disk saving and easy search. Up to 5 recorders can be integrated in cascade connection mode for up to 80 cameras. HDD capacity is expandable up to 31 HDDs (4 HDD slots in themain unit and 3 optional WJ-HDE400 Hard Disk Extension Units each with 9 HDD slots). Up to 4 optional WV-CU650 system controllers can be connected by PS-Data.